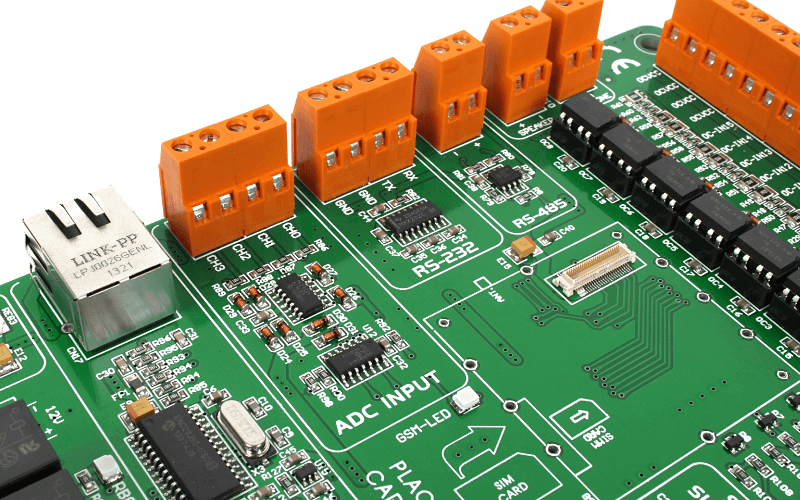 PLC system used to develop industrial, home and office control devices. The system features GSM/GPRS communication, 16 relays, 16 optocoupled inputs, RS485, RS232, serial Ethernet, etc. Put a PIC in charge. 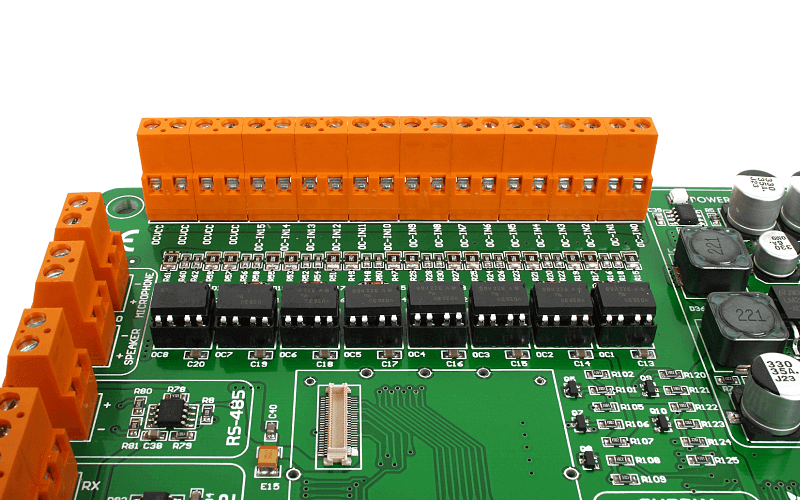 Develop complex industrial, home or office control systems with 16 optocouplers and 16 relays that allow you to connect the MCU to high-powered external industrial (but also home or office) devices. Powerful on-board USB 2.0 programmer and mikroICD hardware debugger will simplify programming and debugging, whether you’re an experienced professional or a begginer. 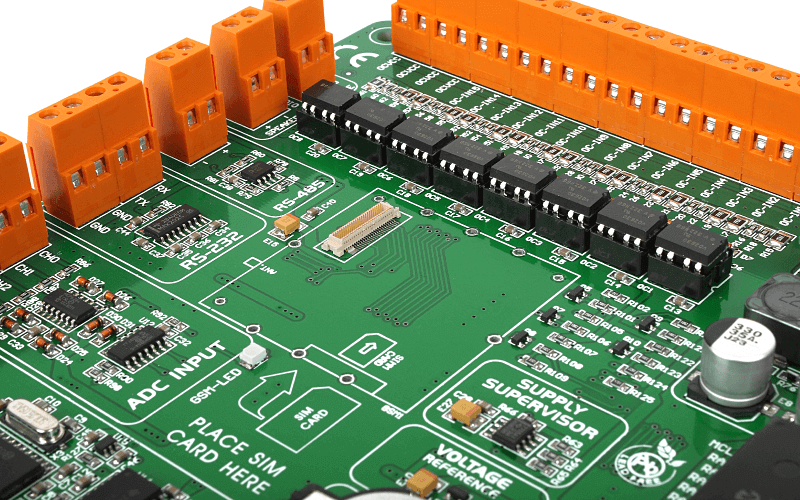 Easily incorporate GSM functionality, including audio communication, into your PLC system. 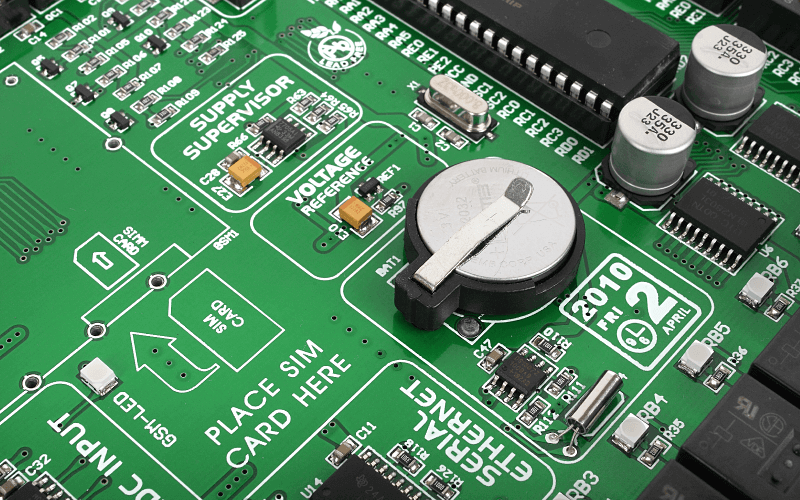 The board features a connector for adding a GSM module via our GSM booster card. 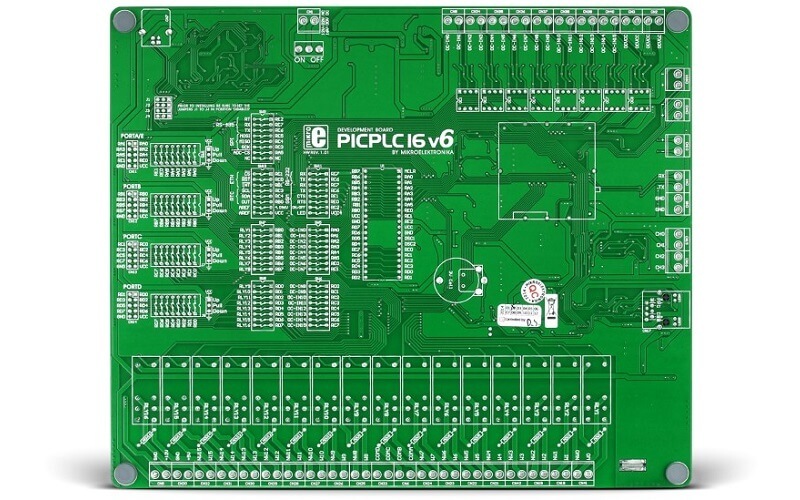 PICPLC16 v6 packs a lot of modules further increasing the connectivity and versatility of the board: RS232, RS485 Real time clock, Serial Ethernet, and a whole lot of ports and switches. 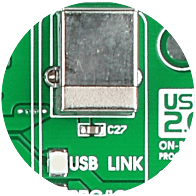 The USB-B port can be used to access the onboard programmer and ICD debugger. 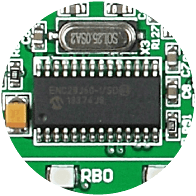 Onboard fast USB 2.0 programmer and in-circuit debugger for testing and debugging programs on PIC devices. Screw terminals for optocouplers. 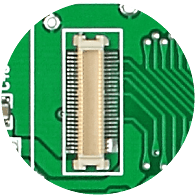 All optocouplers are also linked to one common OCVCC connector. HP2630 optocouplers with Schmitt trigger galvanically isolate high-voltage signals brought to the MCU inputs. 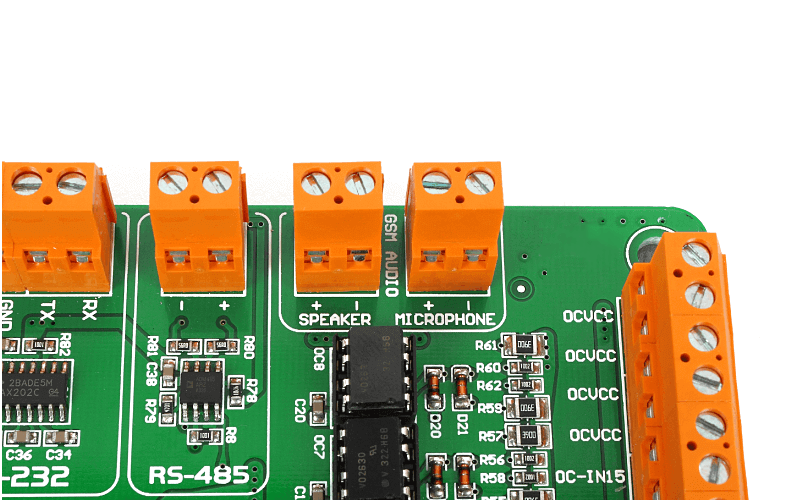 Screw terminals for connecting a microphone to the GSM module. 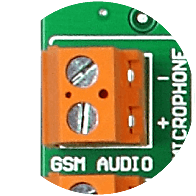 Screw terminals for connecting speakers to the GSM module. 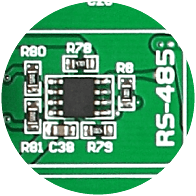 These enables the system to be connected to 485 network. 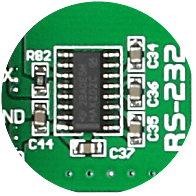 MAX202C IC handles RS-232 communications with a PC or MCU. 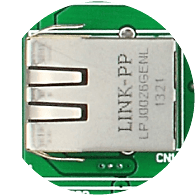 Used for connecting Telit’s GL865-QUAD GSM module via GSM booster card. 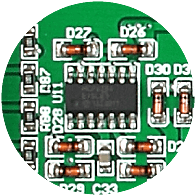 A/D converter MCP3204 is used for precise analog input measurement. 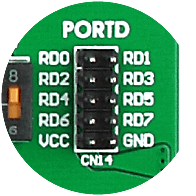 Serial ethernet communications are established through this port. Used to provide a stable power supply to the serial ethernet module. 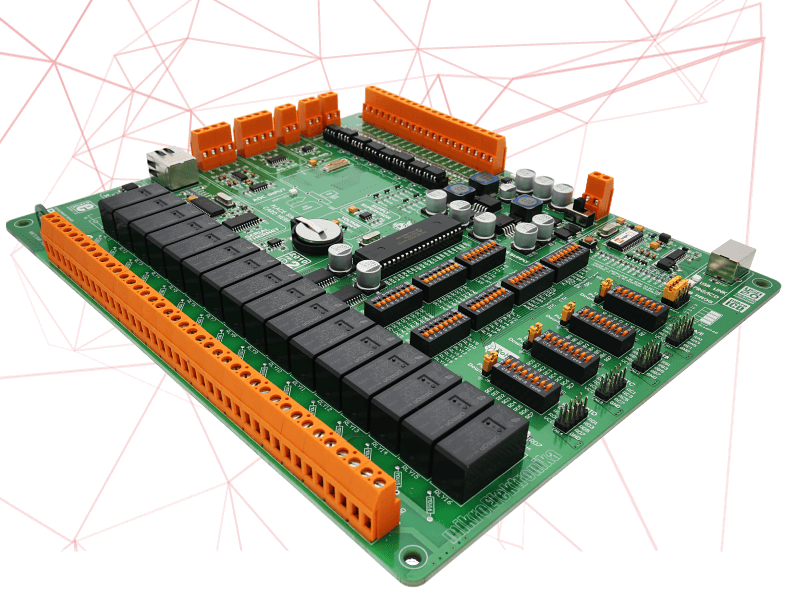 A 28-pin, 10BASE-T stand-alone Ethernet Controller with SPI interface. 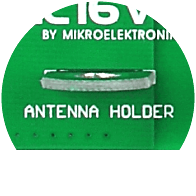 This antenna holder is for fixing the external antenna from the GSM module (if it’s connected). There are 20 screw terminals. 16 for each relay, and four additional contacts—COMA, COMB, COMC and COMD—for connecting a group of four relays to a single contact. 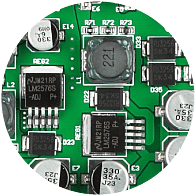 Each relay has a LED for optical signalization and is designed for currents of up to 16 amps. 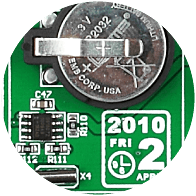 DS1307 with a battery supply keeps track of time, including weekdays, dates, and leap year corrections. 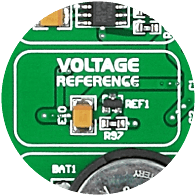 Voltage reference for ADC can be either VCC (5V) or 4.096V. 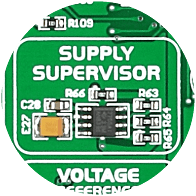 TL7700A is a supply voltage supervisor IC that functions as a reset controller. 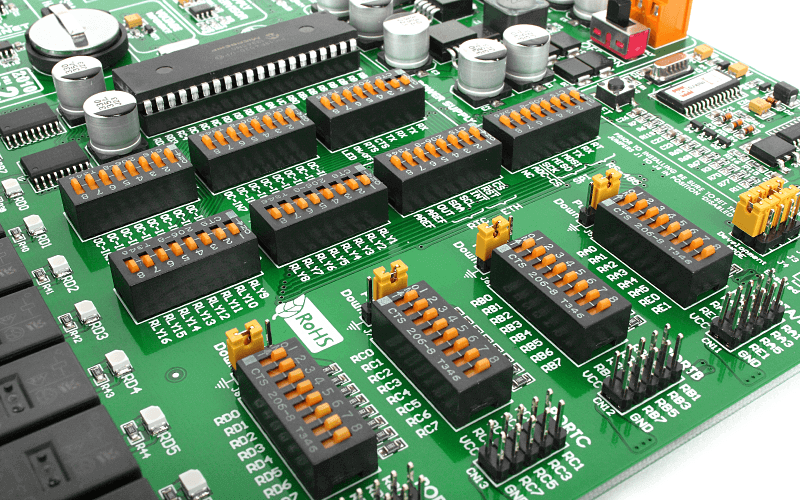 The default MCU controlling PICPLC16 v6. Replacable with other 8-bit PICs in DIP-40 packaging. These jumpers are used for pull-up/pull-down configuration of each of the four ports. 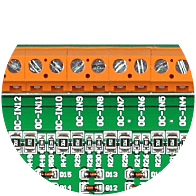 All pins are connected to IDC10 connectors, you can use them for further expansion and connectivity. 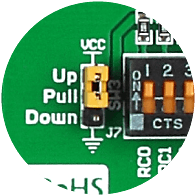 Use these switches to easily separate port pins from pull-up/pull-down resistors. 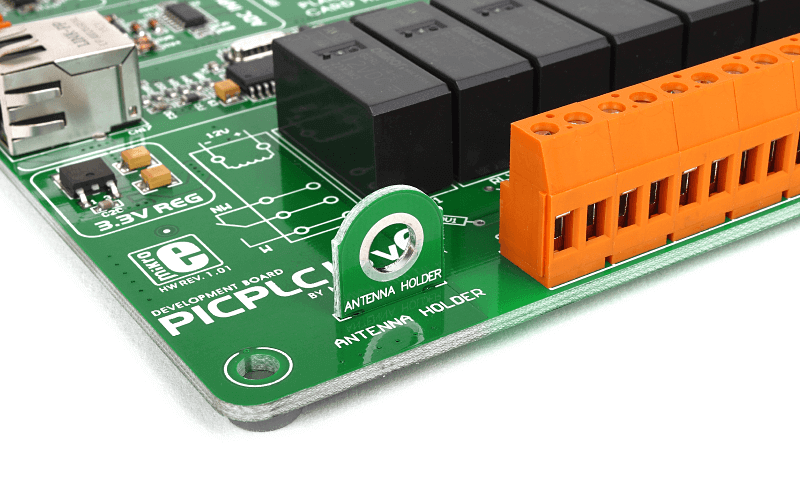 PICPLC16 v6 is a PLC system with 16 opto-inputs and 16 relays (for currents up to 16A). 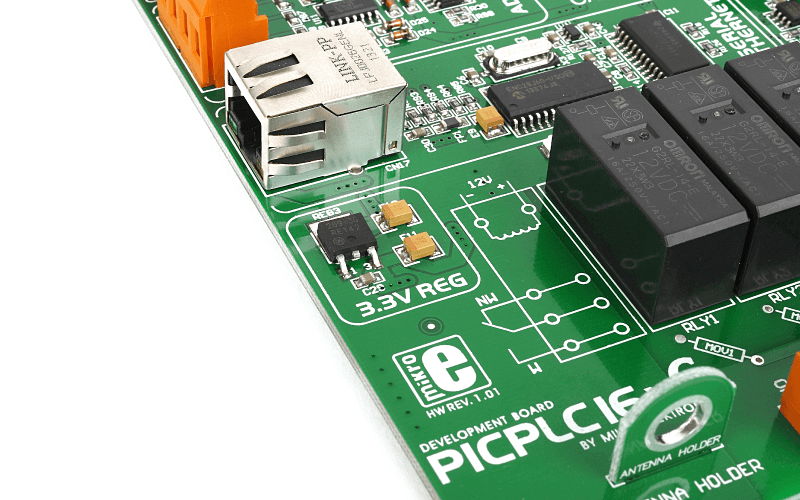 With it, you can develop PIC-based industrial, home or office automation devices the easy way—PICPLC16 has all the MikroElektronika features you’re familiar with: onboard programmer and mikroICD debugger, clear silkscreen markings, and many onboard modules. 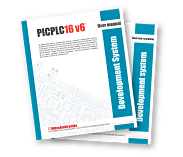 mikroICD™ on board - PICPLC16 has a built-in powerful mikroICD debugger for testing the executed program in real time at hardware level. 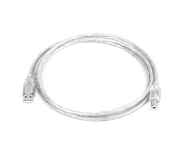 Whether you are a beginner, or a well-trained professional, this remarkable feature is an irreplecable advantage. 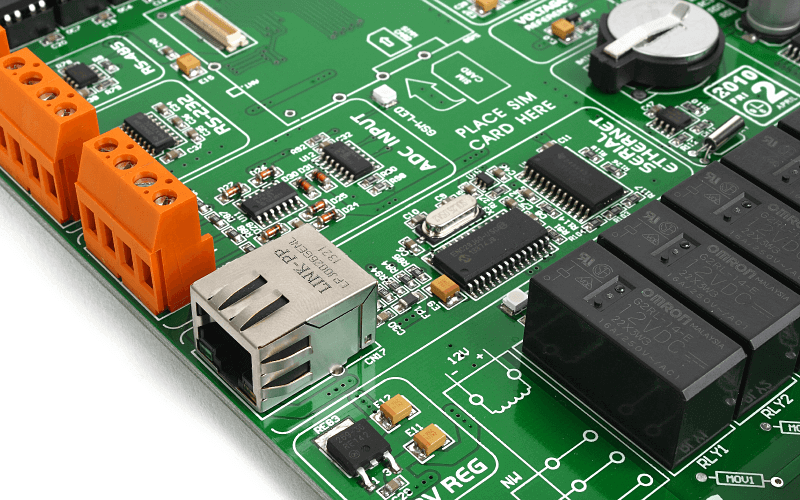 The Serial Ethernet connector lets you connect your PLC system to a network. 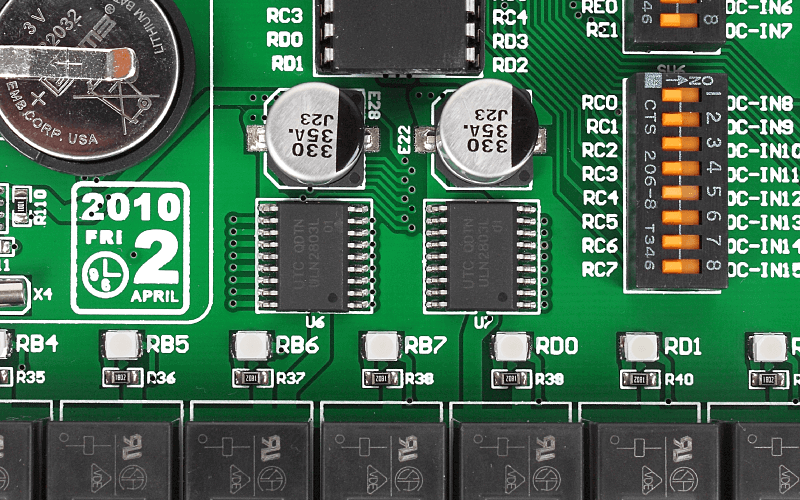 The RTC module with its own battery will keep precise time for the system. The antenna holder fixes the external GSM antenna in place. 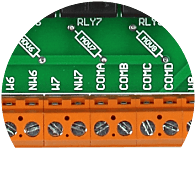 16 relays for currents of up to 16 amps line the side of the board. GSM connector for adding telecommunication capabilities to your PLC. 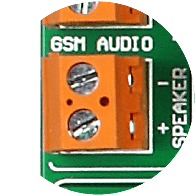 Speaker and microphone connectors are for the GSM module. 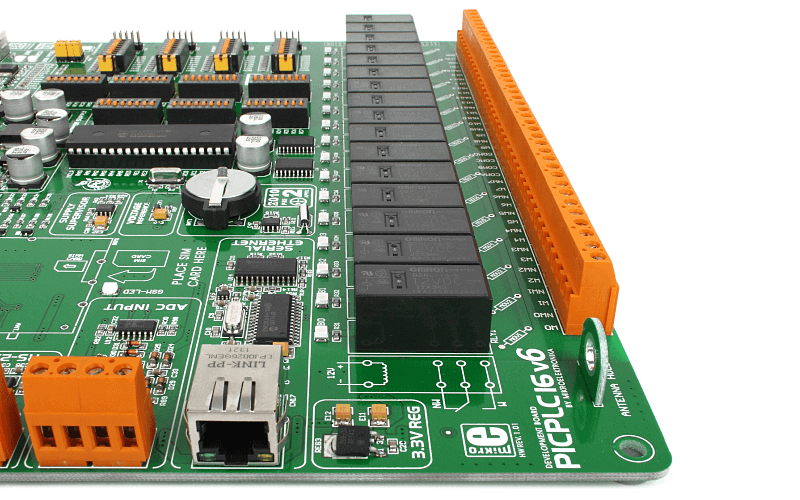 PICFlash™ is a fast USB 2.0 programmer with mikroICD™ hardware In-Circuit Debugger. 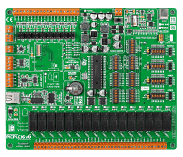 Smart engineering allows mikroProg™ to support all 8-bit Microchip® PIC® microcontrollers. Outstanding performance and easy operation are among it’s top features. 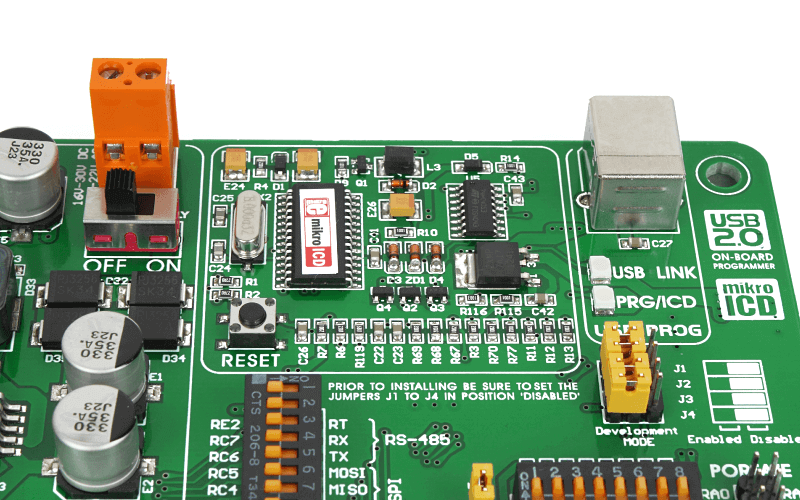 The mikroICD™ debugger enables you to execute your program on the host microcontroller and view variable values, Special Function Registers (SFR), RAM, CODE and EEPROM memory along with the code execution on hardware. Whether you are a beginner, or a professional, this powerful tool with a convenient set of commands will enable you to track down bugs quickly. 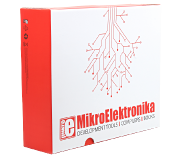 mikroICD™ is one of the fastest, and most reliable debugging tools on the market. 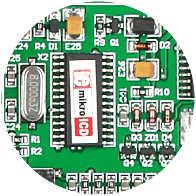 On board mikroProg™ programmer requires special programming software called mikroProg Suite™ for PIC®. 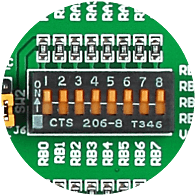 This software is used for programming ALL of Microchip® microcontroller families, including PIC10, PIC12, PIC16, PIC18, dsPIC30/33, PIC24 and PIC32. Software has intuitive interface and SingleClick™ programming technology. Front side of the board is elegantly designed. 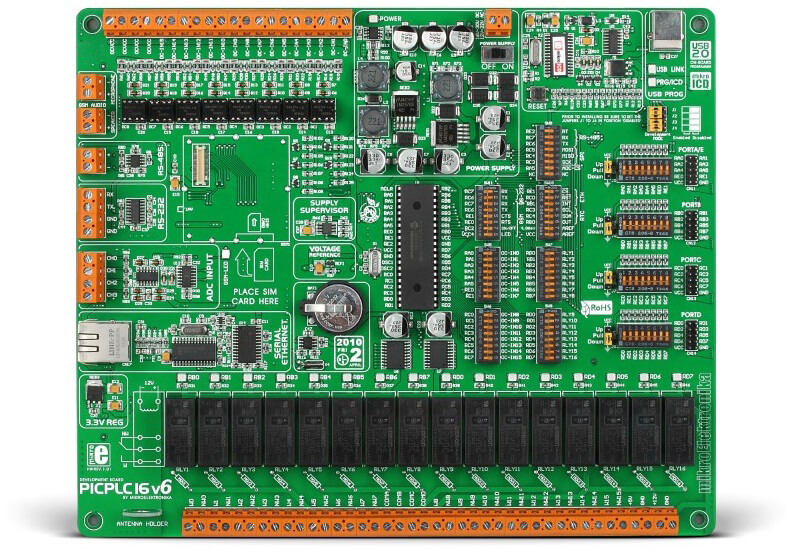 The side of the board is lined with modules that expand the board’s connectivity. 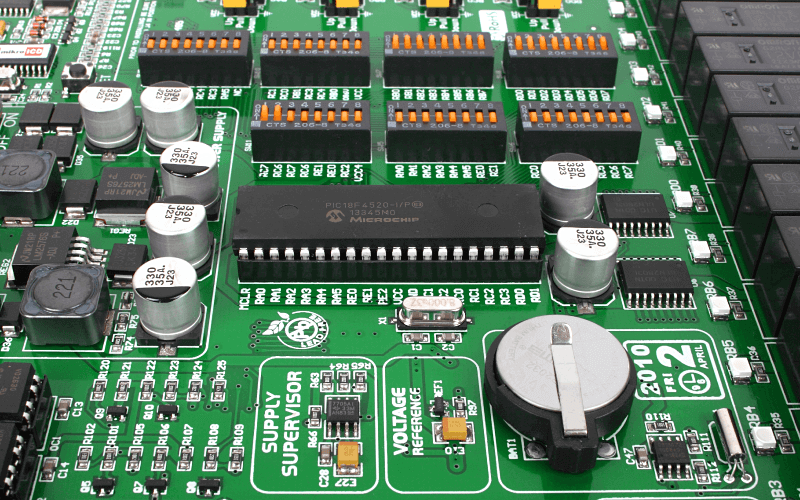 A whole lot of DIP switches make the system easy to configure. 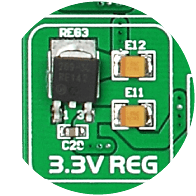 3.3 Voltage regulator provides a stable power supply for Serial Ethernet. 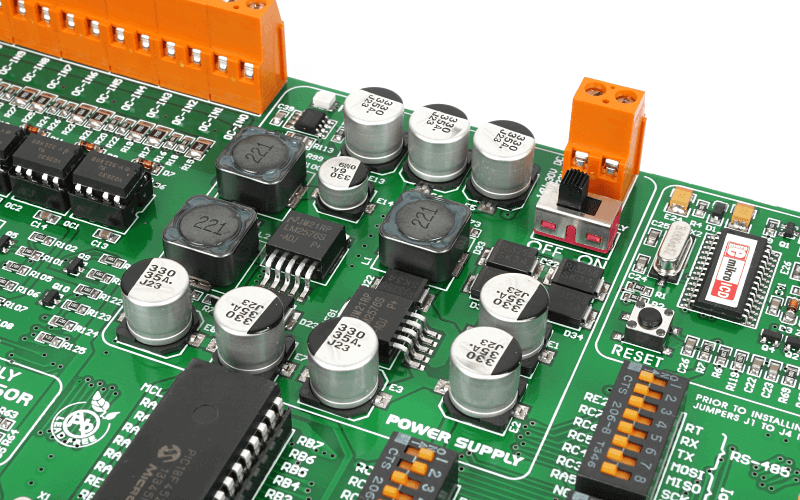 Power supply makes sure that each module works correctly. 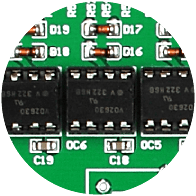 16 optocouplers for connecting high-powered devices to the onboard MCU. 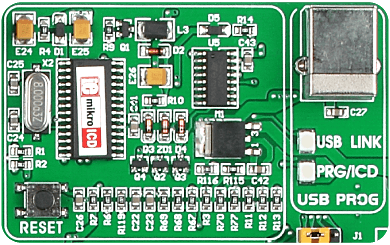 Onboard fast USB 2.0 USB programmer and mikroICD debugger. 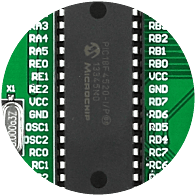 PIC18F4520 is default MCU for PICPLC16. You can switch it for other 8-bit DIP-40 PICs. 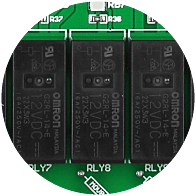 High-current Darlington arrays ULN2804 are used for driving output relays.